Just joined, looking forward to getting help and insight from the community as I have just recent purchased a 1981 924 Turbo project. 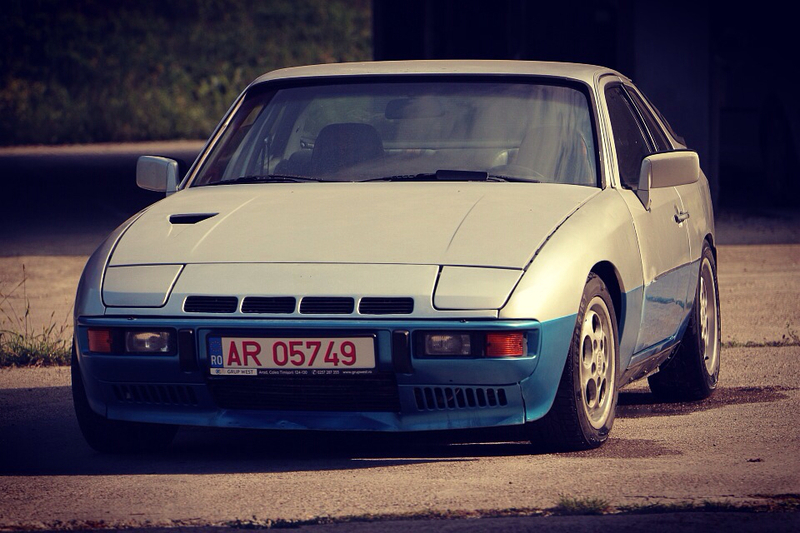 My current daily is a '86 952 and also have a longhood 911 project and a few aircooled VWs so I'm no stranger to German engineering (and logic), but I have to admit I don't know much about these 924s at all. The car I looked at yesterday will be arriving in my garage next weekend. After some primary research, I've confirmed the chassis number is a 1981 model, but from what I can tell (based on the oval intake pipe), it currently has a Series 1 engine in it. From everything I can find on the web, I assumed that the series 1 model ended in 1980. Did the series 1 run into 1981? If not, that would mean this car has had an older engine installed into it at some point. Unfortunately I didn't take a photo of the engine number to know for certain. How else can I tell? Second question, I've been trying to find a definitive list of refinements that differentiate the S2 from the earlier S1 931. Is that list already available somewhere on this site? Anyway, here is a photo of the engine bay. Thanks in advance if anyone could help shed some light on this! Well, that is certainly an S2 intake manifold and upper charge tube. OK, so that should be correct for my year then? Sorry I must have got my information mixed up as I was told that was a S1 intake pipe. Thats an S2. 81 is already S2. S1 stopped at 1980. DONT turn the engine over until you do a timing belt change. Absolutely DONT try to crank it without a new timing belt. If you take the whole engine out, BE VERY CAREFUL about the crank sensor(on the clutch well) If you break it, you're going to have a hard time finding a replacement as the sensors are no longer available new. Also, try to repair that nose panel, dont cut it away. You cant find them easily unless you're happy with a fiberglass copy. Try to save the plastic vents as they are also a rare part. If you're going for a full engine rebuild take good care of the main bearings. I dont know what your buget is for this project but if the main bearings are still in good condition, mark them and reuse them. Replacements are available from one or two aftermarket source tho. But first, vaccum clean the battery tray and around the engine. Dont use water as since leaves sat there for long there might be rust in the battery tray area and you dont want water dripping on to the fuse panel if the rust has went trough. Thanks for the insight, glad to know its the correct engine. I will also take your cautious advice when tackling the engine. Will replace the timing belt first thing. Just before it was parked up back in 2008 because of a fender bender, the PO spent some serious cash on the engine including reconditioning the head and camshaft, replaced guides and valves, etc with receipts. So I'm confident with a fair bit of tidying and checking of everything we can get this thing going without much problem (famous last words, right?). How do you think would be the best way to tackle this? We are still trying to figure out if we cut the whole front clip out and replace it, or if there's a better way. Maybe that question is better off in a new thread altogether?? Welcome and good luck with your project. I am also busy restoring a 931 that stood still for 20 years. Mine is running and on the road now, but still not 100%. What I have learned over the last couple of months as I was working on this car is that all your knowledge of other Porsches is nearly useless when it comes to the 931.There are so many specific things about these cars that does not apply to other Porsches. Also be vary careful with information you get from Haynes and the web on the 931. Make sure it is for a ROW car and that it is for the S2. Unlike the 911, the changes per model year is quite drastic and there is a much wider gap between ROW vs. US models. You can really only assess the damage properly once the nose panel and lights are removed. From the photos, the damage appears relatively light, though the front chassis cross panel may need heating and pulling back....hard to tell. Nose panel should be unpicked by drilling spot welds for minimal disturbance of surrounding sheet metal, and then make the replacement nose panel a bolt-in affair like the 944s. I would avoid cutting and welding at all costs. Remove the plastic vents carefully. Then fix logs in front all the wheels, put it in gear and pull the hand brake...basically fix the car. Use a solid wall mount to attach ratchet ties to the bent parts that you're not going to use anymore like the nose panel. Pull on those with the ratchet ties to straighten the front area. When relatively straight you can hammer it into its original shape. I say better a slightly wavy hidden panel than a welded straight one. No rust worries, no chance to weld it in the wrong position....less actual work..etc. When the support for the nose panel is relatively straight and in its correct shape you can cut the nose panel off. I would avoid grinding it off again...try to get it as close to its original shape as possible and drill the spot welds out. Its a lot of hastle but i think its worth it. Welded stuff will rust nomatter how well you seal it and there is a chance you will weld it in the wrong position..
Hmmm yeah I think cutting and welding will be the worst case scenario. I agree morghen, I would prefer a wavy hidden panel since it'll be completely hidden anyway. I'll update you guys on the damage once I get it into my garage and start peeling away at the layers to see the full extent of the damage. Here's another photo for you guys, the rest of the car is super solid and straight, so once I fix the nose everything else should fall in place.